After my first flight with springs, I felt something was bothering me. The gimbal itself worked flawlessly, yet I was thinking about force trim. I haven’t been using force trim modes I’ve been using with a non-centering cyclic with this gimbal a lot, as the lever was holding itself now. Yet, I felt that there’ve been something unrealistic with flying with springs and without force trim system. The problem is, in a real helicopter flying with force trim enabled without actually using it to trim the heli and relieve pressure from cyclic doesn’t make much sense! I mean, why would you want to counter the tension of springs while flying another hour-long VOR to VOR leg! You will probably either trim the heli (so the current position of cyclic will become its new “center” and the pressure of springs will be relieved) or just turn the whole system off. I have been flying without stick centering for years now, so the whole concept was kinda new to me. 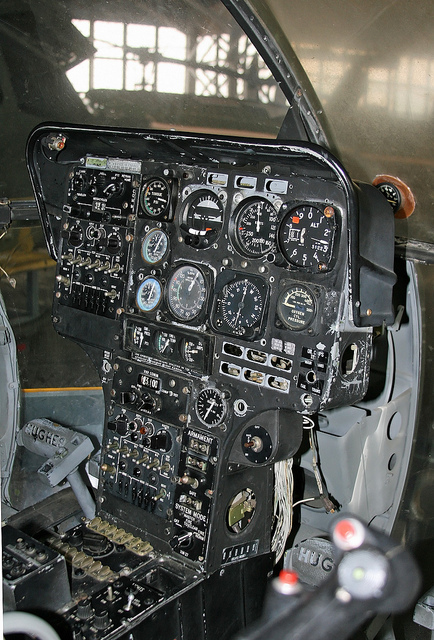 I have heard real Huey pilots saying that they mostly use force trim system to hold controls while on the ground and that it is pretty much useless in flight. For non-centering cyclic, existing pseudo force trim modes work just great and provide a realistic experience. in a real heli, there’s no “stick center” position. There’s only a position that allows for stable flight / the desired attitude in a given moment. We should be able to make this position a “stick center” with a force trim button press. Looks like a lot to wish for! Yet’ after some trial and error, and a few test flights, I’ve been able to make something that is pretty close to the real force trim system, especially if you’re using a VR helmet. 1) We find a position of cyclic that we want the stick to be centered in. 2) We press the force trim button. Cyclic and pedals freeze in-place, waiting for you to return them to their physical center position (the one where springs pull them – it’s auto-calibrated on every joystick startup). 3)We let cyclic and pedals to return to their respective physical central positions. Controls in the sim unlock, starting to react to your movements again. They are held in a position where force trim button was pressed. All your movements are now related to this position (although the stick is physically at its center). 4) When we need to re-trim, we simply put the stick to where we want it to stay and press the trim button, then return controls to their center positions. The stick on the screen will move relative to its new “center”. In practice, that means that in your hour-long flight you will be holding your hand in its most comfortable position, close to the center of cyclic gimbal axes. That also means, you can take your hand from cyclic without any sudden changes in attitude (which could have happened with other pseudo force trim modes, especially when disabling the trim), tune your radios, and the heli will still be flying in the same direction (more or less, it’s a helicopter, after all). But, there’s one drawback. If you trim the heli somewhere close to physical limits of cyclic, you won’t be able to reach the other end of the axis should you want to do so. You will probably need to re-trim the heli somewhere around the physical center of the gimbal at first. For normal, realistic, flying, this shouldn’t be too noticeable though as we rarely deflect cyclic to its full extent. 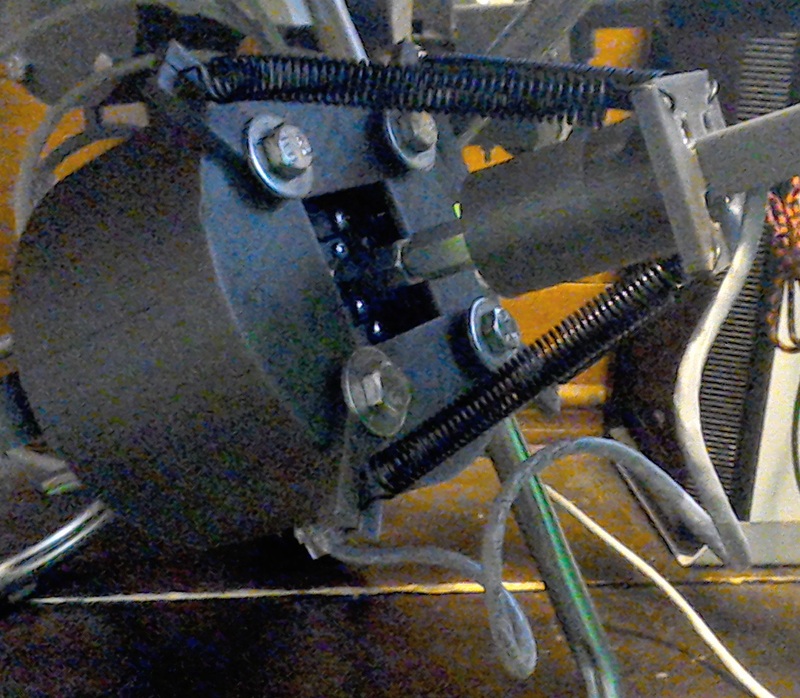 I have also updated the ATT_TRIM mode of the cyclic stick grip hat switch. You can now move trimmed “center” position without having to re-trim the heli. This should mimic “electrical” cyclic movements option, often available in modern helicopters, like the 407. I personally find this new mode really useful for a spring-loaded stick, it kinda provides a new interesting feeling and adds much comfort for long flights. I think it’s as close as we can get without actually having a hardware force trim system. Please tell me what you guys think about the new stuff in comments!